Tar Sands, Megaloads, Pipelines, Climate Change: What’s the Connection? Tar sands, megaloads, pipelines, climate change: What’s the connection? Explore these issues with six concerned local citizens from Idaho, who journeyed in 2012 and 2013 to the tar sands region of northern Alberta, to gather with First Nations and non-tribal activists and journalists from across the continent, for the annual Tar Sands Healing Walk. 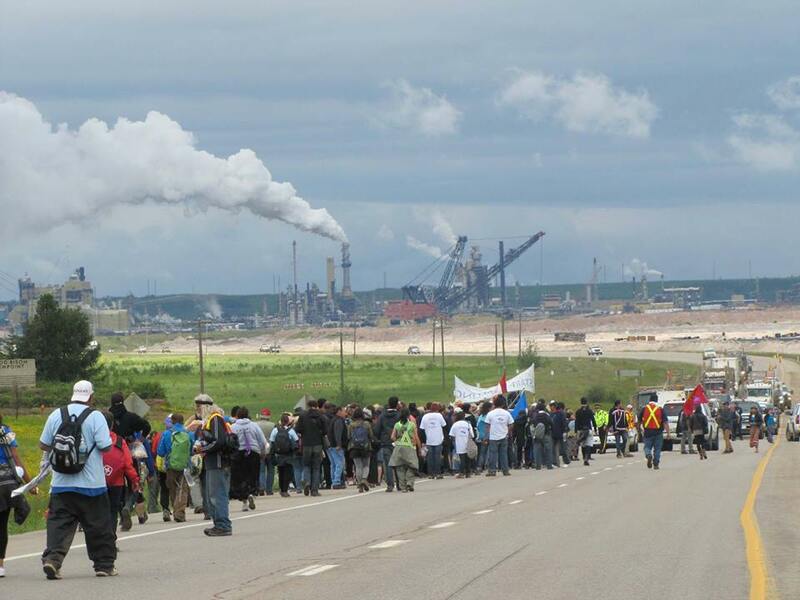 Led and inspired by indigenous elders and leaders, participants experienced first-hand the scale of environmental devastation caused by tar sands mining and resulting crude oil production. Through a slide show presentation and discussion, six local healing walkers – James Blakely, Pat Fuerst, Pat and Dan Rathmann, Anne Remaley, and Helen Yost – will share what they learned on their solidarity journey, connecting tar sands exploitation with regional megaload transports, huge pipeline projects, impacts on people and places, and overarching climate change and moral issues. Join co-sponsors 350 Idaho, the Idaho Sierra Club, Palouse Environmental Sustainability Coalition (PESC), and Wild Idaho Rising Tide for this insightful talk from 3 to 5 pm on Saturday, December 7, in the 1912 Center Arts Workshop Room, 412 East Third Street in Moscow, Idaho. For further information, contact Pat Fuerst of PESC at epfuerst@frontier.com. This entry was posted in Alberta Tar Sands, Events by WIRT. Bookmark the permalink.